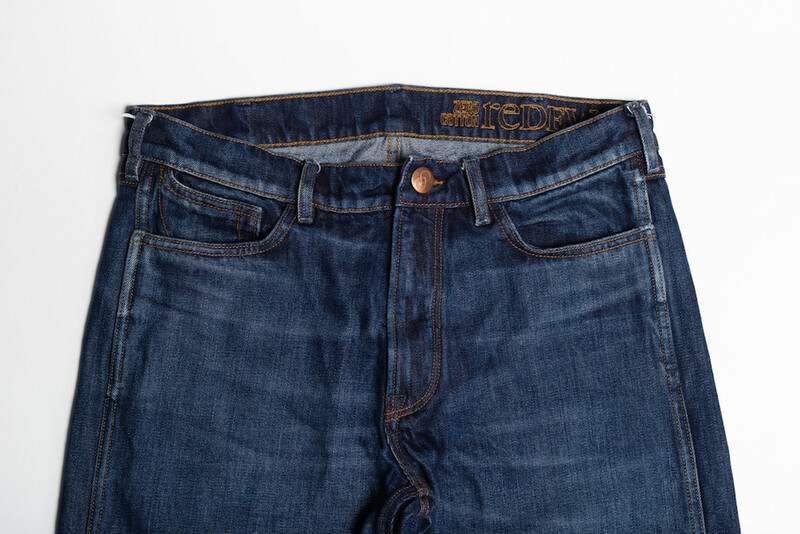 reDEW8 Jeans, a Swedish denim company, has launched new Zero Cotton jeans made from 100 percent renewable wood fibers. The company will debut the style, called the Frost Jeans, at the 2019 Outdoor Retailer + Snow Show in Denver, Colo. this week. According to the company, each pair of Frost jeans saves more than 1,849 gallons of water. The wood fibers are made by Lenzing and woven by Turkish denim mill, ISKO. The Frost style has a straight leg and medium rise, and is available in two washes: the 88 Days wash is a slightly broken-in medium wash, while 123 Days has a lighter color and a more worn-in look. The fabric is styled to look and feel like traditional cotton denim, retailing from $149-$159. reDEW8 also donates 25 percent of profits annually to international wildlife conservation through the reDEW8 Foundation and the reDEW8 Earth Prize. Along with the Zero Cotton jeans, reDEW8 will also be showcasing other new technologies at Outdoor Retailer, including a wrinkle-free travel jean made from a blend of organic cotton and recycled PET bottles. The new Zero Cotton jeans will be available at select retailers in Fall 2019.